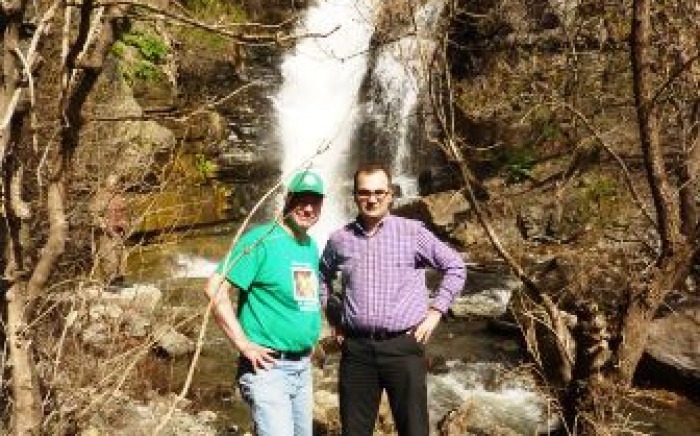 Because Armenia’s Khosrov Forest is only an hour or so from Yerevan, I have been there at least a dozen times over the last six years, and last month I drove out there again, this time mainly for the celebration of WWF’s 10 years in the country. 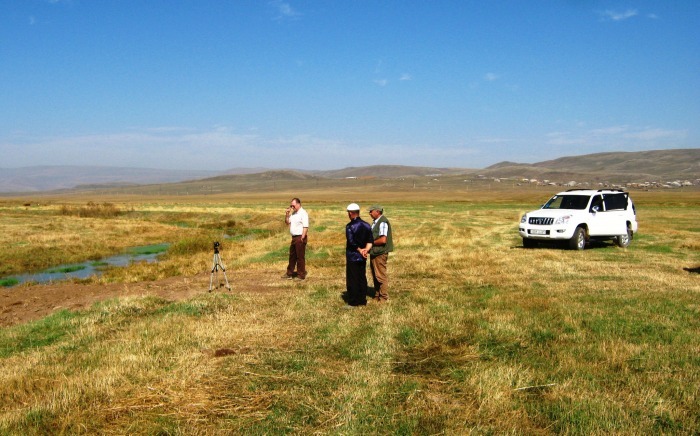 Khosrov, which has been receiving CNF support since 2010, is the northernmost leopard habitat in Armenia. 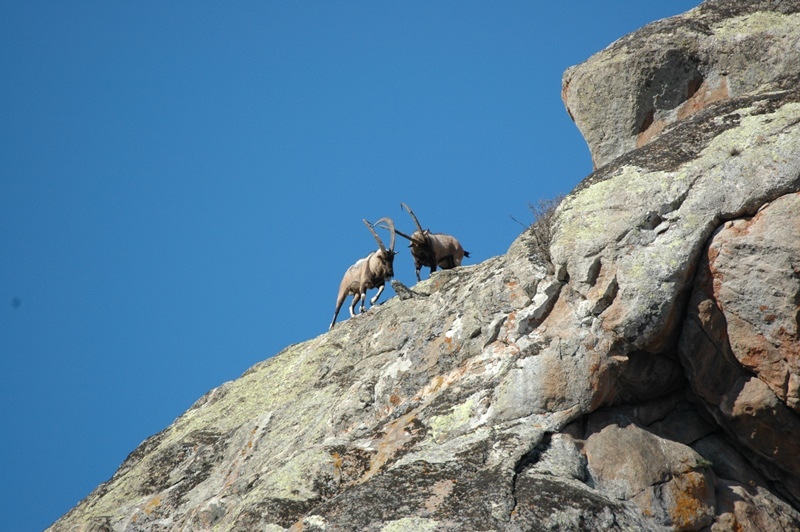 The forest also safeguards the habitat of other endangered prey species, perhaps the most important of these being the bezoar goat: a magnificently bearded mountain goat that can run at speeds of 40 kilometers per hour up steep, rocky mountain cliffs. 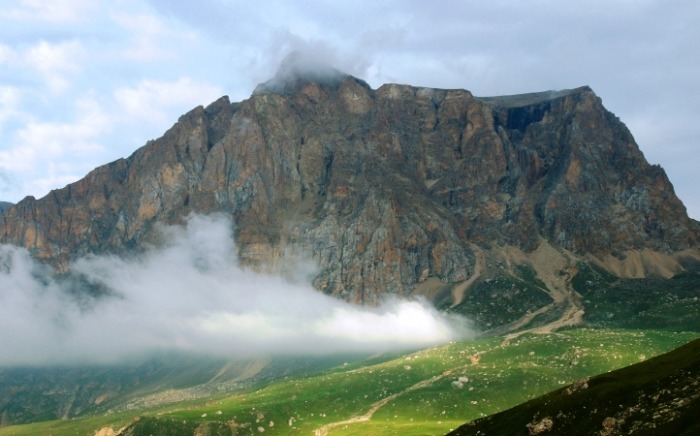 Though it is all but extinct in Georgia, a small and–thanks to the work of CNF and its partner organizations—slowly growing population survives in Armenia and Azerbaijan. The males in particular are also very elusive creatures, summering high in the mountains away from the females, and in all my visits to the region I have never seen one in the wild. So when a small group of us sets off on this lovely June evening with Hrachya Danielyan, one of Khosrov’s most experienced rangers, I joke that I may jinx the outing. For close to an hour, we climb in our jeep over very rough terrain to a first observation point, but after just a few minutes of scanning the hillside and nearby cliffs with his binoculars, Hrachya turns and tells us there is nothing other than the glorious view for us to behold. Undeterred, he leads us to even higher terrain and a second stop. Again we scan the hillside, this time across a much deeper valley. I am on the point of saying: “Jinxed again,” when Hrachya turns and, shushing us with a finger on his lips, beckons us to approach his position. There across the gorge on an outcropping of rock, a mature male bezoar peacefully grazes. Though we too can now make out his large form with the naked eye, binoculars highlight his markings and majesty. From the enormous horns, Hrachya estimates his age at 10-12. By the evening’s end, we have spotted two more subjects in their solitary meanderings. The desk work of building up a conservation trust fund for the Caucasus is occasionally rewarded with moments like this—and finally witnessing these animals in the wild was of course a great treat. But for me, watching the trained, professional eyes of a ranger at work was just as gratifying. Without them, we would have stayed much longer at the first observation point and never spotted the goats at the second. I will be forever grateful to Hrachya for his knowledge of and ability to see Khosrov’s secrets, and for his showing them to me.